As a demolition company, we specialize in the provision of interior demolition services for the commercial sector, retail facilities as well as residential property. We take great pride in performing total interior demolition services for residential property as well as the most complex commercial facilities that includes the removal of walls, ductwork, ceilings, floors and utilities. Whether you are preparing for a home remodeling project or a complete tear down and start over approach, our residential demolition services should be your first step. As demolition contractors, we maintain a fleet of state-of-the-art demolition equipment in addition to highly-specialized health hazard filtration service equipment, waste management and recycle services. For interior demolition services of commercial, industrial, retail or residential property by experienced demolition contractors serving the Renton, WA area and beyond, call Puget Sound Abatement at 425-251-0864. The majority of demolition services by our demolition company include the dismantling of the interior of a structure while maintaining the integrity of the exterior or other areas not scheduled for demolition. However, as expert demolition contractors, we have the capability, backed by significant experience, in asbestos and lead abatement services. Our demolition company is a leader in interior demolition services with sufficient labor force, tools, sophisticated equipment, and disposal services to deliver full-scale results on a timely basis. As demolition contractors with trained professionals, we provide cost-effective solutions, timely demolition project completions and a profound desire to protect the environment. Our interior demolition services for residential property are designed to keep you and your family protected during a remodel or rebuilding project. 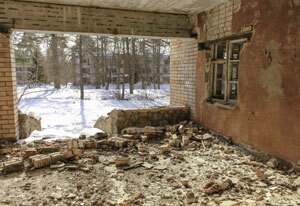 Why Choose Us as Your Demolition Contractors? 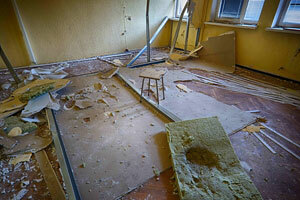 As experienced demolition contractors with a reputation for expert interior demolition, our demolition company is respected for its high standard of customer service performance. The experience of our demolition company, and its cutting-edge technology and techniques has earned us a stellar reputation as demolition contractors, including abatement as well as complex demolition projects. Because of our experience with compliance regulations and risk management, our demolition company is consistently awarded the most complex demolition projects. As demolition contractors, we focus on pre-project planning, cost effectiveness, meeting on-time schedules, exceptional customer service, a professional skilled workforce, state-of-the-art technology, and a fleet of well-maintained machinery. 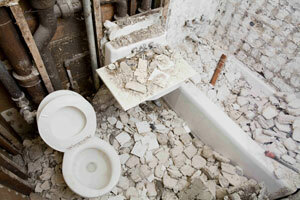 To learn more about how our experienced demolition company can complete even the most complicated demolition projects from initial demolition contractors planning that may include asbestos and lead abatement services, to waste removal management, call Puget Sound Abatement serving the greater Puget Sound area at 425-251-0864.